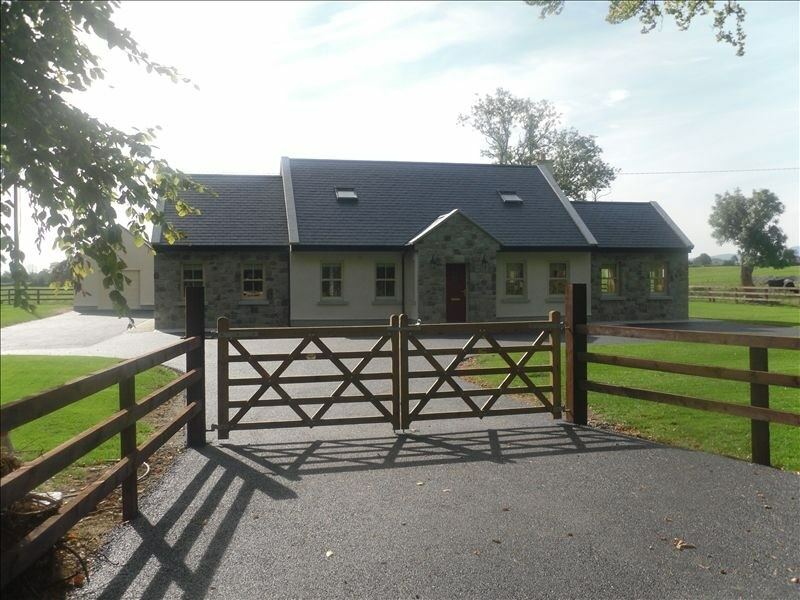 Gort na gCapall is a luxurious, four-star self-catering cottage that is an ideal choice for a rural holiday in County Tipperary. Located near Dromineer Village and Lough Derg, the cottage is perfect for a fishing break or simply some relaxing days.Gort na gCapall is a luxurious cottage that is ideal for a rural holiday. It is located on a 50-hectare farm in the countryside of Tipperary near Dromineer, which is just 3km away. The cottage is spacious with a large open-plan kitchen/dining/living area with comfortable leather sofas and window seating. The cottage has a fully equipped modern kitchen complete with breakfast bar and everything needed to prepare wonderful meals. The living room is complete with a large open-fire and flat-screen TV. There are French doors leading out to a stone patio with fantastic views of the countryside. The patio is perfect for relaxing and al fresco dining on those warm sunny evenings, as it boasts a barbecue, table, chairs and lazy suzy. The cottage includes four bedrooms with an optional bedroom with sofa bed. Each room is tastefully decorated and two include ensuite bathroom. Three of the rooms have king-sized beds, while the final room has twin beds. All bed linen and towels are provided. Upstairs in the lounge area, guests can relax on a large, leather sofa while watching the 50-inch flat-screen TV. For those rainy days, there is a complete library of books and DVDs. There is also a pool table for guest use. During their stay, guests can explore Lough Derg by boat, enjoying brisk sailing or taking it easy in a fishing boat. The nearby village of Dromineer has two harbours suitable for sailing and fishing, and weekly rentals of boats can be arranged for guests. Pony trekking and horse riding can also be arranged. For lively traditional music sessions, guests can visit the local villages of Ballycommon and Dromineer. Nenagh Town is just 8km away.